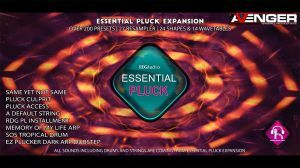 Essential Pluck VPS Avenger is an expansion preset bank containing over 200 Plucks exclusively made for Vengeance Avenger synthesizer.It is categorized in Pluck, Arp, Chrod, Sequence Drum & Strings. It has been created using our old sample based rompler PLUCKATONIC. All presets have been designed by our sound designers and professional music producers. 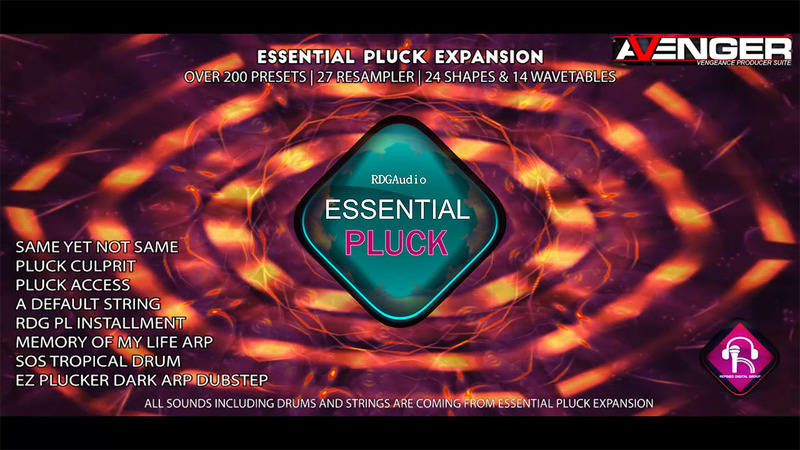 Lets create Trance, House, Pop, Hip Hop, Trap, Techno tracks from the unique sound set of VPS Avenger Essential Pluck Expansion. 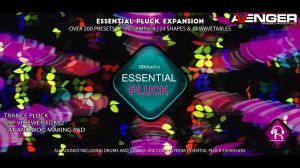 Over 200 HQ Pluck Presets. 24 shapes & 14 waveforms. Ready to make Pluck Chord, Lead, Arp, Riff etc. Creates Trance, House, Pop, Hip Hop, Trap, Techno etc tracks. Factory expansion needed in order to play Drums. Open Vengeance Proucer Suite Avenger then Go to –> SYS Tab > Content > Import Content then locate "Essential Pluck.avengercontent".